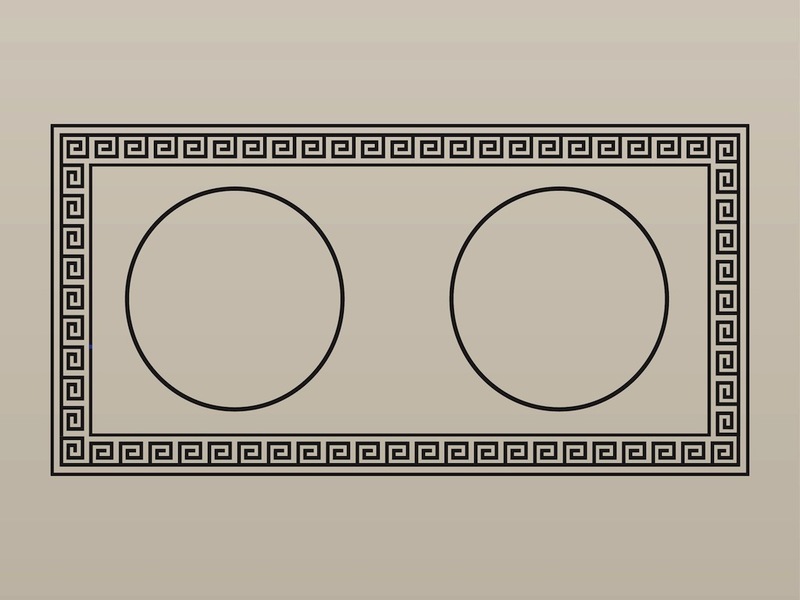 Decorative vector design in the artistic style of Ancient Greece. Two big circles in the center of a rectangle, frame with geometric pattern with straight lines and right angles between them. Free vector decoration for all Ancient art, Greece, poster, flyer or tourist brochures decorations. Tags: Angles, Art, Circles, Decorative, Geometric, Greece, Lines.